You find them in all social networks, in daily conversation they have replaced the casual hello and good morning. They are usually fun and youthful, but animated GIFs are more than a simple entertainment format. 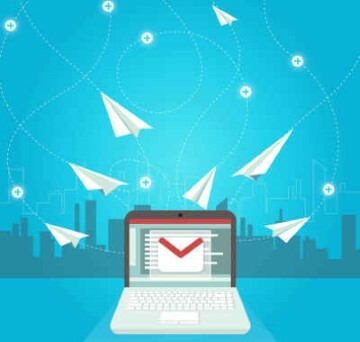 Creating an email marketing campaign with GIFS can make a big statistical difference, in addition to the fact that they serve as the creative element that will give life to your emails. It is true that there are different ways to personalize an email, with attractive elements such as emojis, but using GIFs well will help you give that extra punch you may be looking for in your email marketing campaigns. It is common to associate GIFS as childish and less professional, but there are several ways in which you can use them to attract your reader's attention and of course increase the percentage of interaction in your emails. But, what is a GIF? Graphic Inter Change Format or GIF, is an image file format that allows you to show a simple animation. Unlike the PNG and JPG files that only allow the inclusion of a fixed image, GIFS allow you to reel in the users’ attention and create an attractive and hypnotic effect that is difficult to go unnoticed. Its first appearance in digital marketing occurred with animated website banners. But, these have been evolving and since its rise in 2012, media, film, television and advertising campaigns have opted to use the GIF format as a means of transmitting data, information and products. What are the advantages of using animated GIFS in your emails? Help give a current image to your company or business: the interaction generated by this type of format helps promote your product or the service in a more interesting way. Content that creates empathy: connect with your readers emotionally. Variety: You can find websites with GIFS that are classified by different themes. GIFs have proven to increase participation levels and email opening rates. A campaign based on Dell GIF images resulted in an increase in opening conversions of 103%, and reported revenues by 109%. To increase the effectiveness of the GIFS in your email it is important that using these has a specific purpose and that you’re not just including them because they look good. Take your time and think first about what you want to convey, do not be afraid to apply them to your brand. Start to insert them in small spaces within the design of your messages or, let it be your main attraction. The opportunities and themes are endless. For example, if you own a clothing or electronics store and have a large special sale, you can search for those that say "OFFER", "SALE","SALES"
It is important to know that not all email clients are able to support this format. Among these that will not be able to show the animation, are Outlook 2007, 2010 and 2013. Upon receiving the message, the clients of these emails will only see the first image of the GIF. It is for this reason that it is recommended that the most relevant information, be it a call to action, an offer or a title, be the first thing that shows the GIF that you are going to choose. Since you now know the advantages of using GIFs in the design of emails it is time to test them and there are some good online solutions that you can use to create them. Imgur: On this website you can find a huge supply of GIFs and you’re also allowed to create them in a very simple way. With the option "Video to a GIF", all you have to do is include the link of the video with which you want to convert to GIF, as long as it’s under 15 seconds. Giphy: From this you can directly upload your already created GIF or create it online. Like the previous one, you have to introduce a link of the base video that you want to create a GIF for and the images you want to integrate. With a maximum of 10 seconds a piece, you’re allowed to to share it on different networks and you’re offered the URL to embed your video wherever you want. Free Gif Maker: Effects and a function called e Reverse give this tool a different feel. 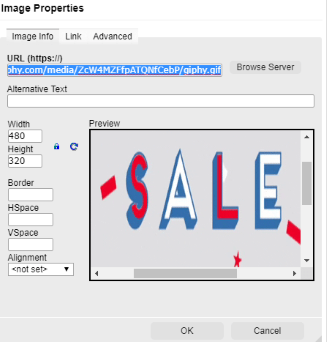 In a maximum of 10 seconds you can create a simple animation from images or a video URL. For design professionals, it is common to use programs such as Photoshop, which creates a timeline where, through its features, it can give the sensation of movement to the selected images. There are many alternatives to create Gifs and you don’t need to be a professional to use them. How do I import GIFS to the Mailpro message builder? It's time to start animating your newsletters and you do not have to worry because the Mailpro message builder is very simple. 2) Go to the message builder and start designing your newsletter from scratch or use one of our customizable templates. 3) Choose to insert image, and the image properties module will be displayed. 5) Accept and you’re ready to go. The GIF is already part of the message. You can do A / B tests to compare the results between delivers with animations and static so you can know which obtained the highest opening percentages, display errors, etc. Use this creative resource and dare to be different! Get free emailing templates by creating your mailpro account! 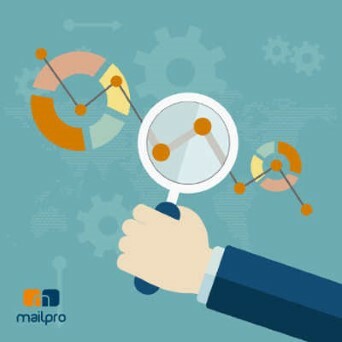 USE THE NUMBER 1 SWISS EMAILING CLOUD SOLUTION FOR SMES, MAILPRO!